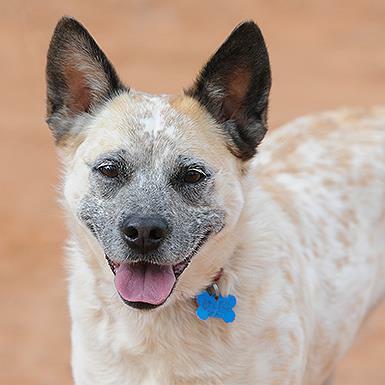 If you're looking for a fun, active dog, you just have to meet Raquel. She has lots of energy and loves to play. Though she'd prefer to play with people, she also does quite well entertaining herself. 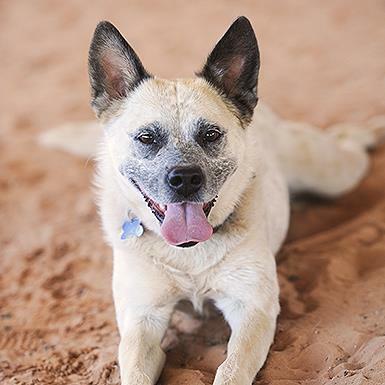 Intelligent and eager to learn, Raquel would excel at obedience and/or agility training. Once she gets to know people, she loves them forever and is excellent at cuddling and giving hugs. Raquel does not do well with other dogs, and will need to go to a home where she can be the only one. Born in 2012, she'll make a great companion for a dog savvy person. If that sounds like you, Raquel would be thrilled to meet you.Raquel is part of our Single Pets* program! That means that she is eligible for a free flight home and waived adoption fee! *Single pets do best as the only dog or cat in the home.